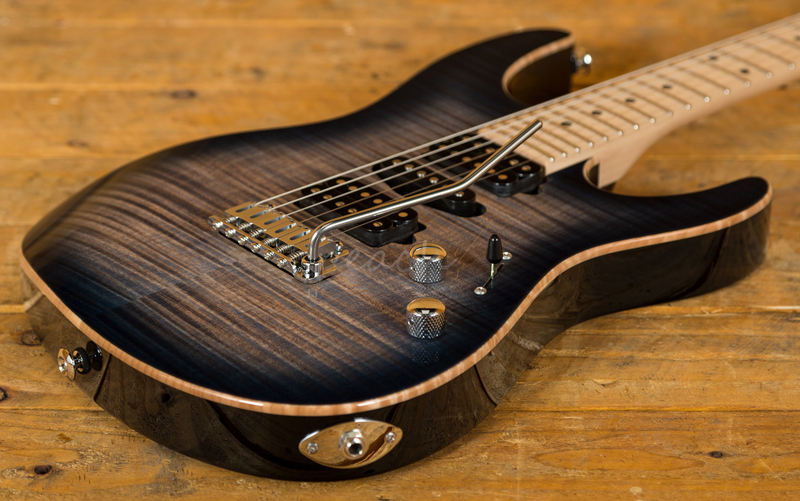 The Suhr Modern Pro is another great example of the continued high-quality work from Suhr. 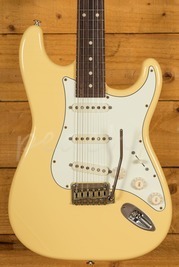 With a Basswood body and a lush Flame Maple top, its tonally superior, light weight and beautifully poised for action. 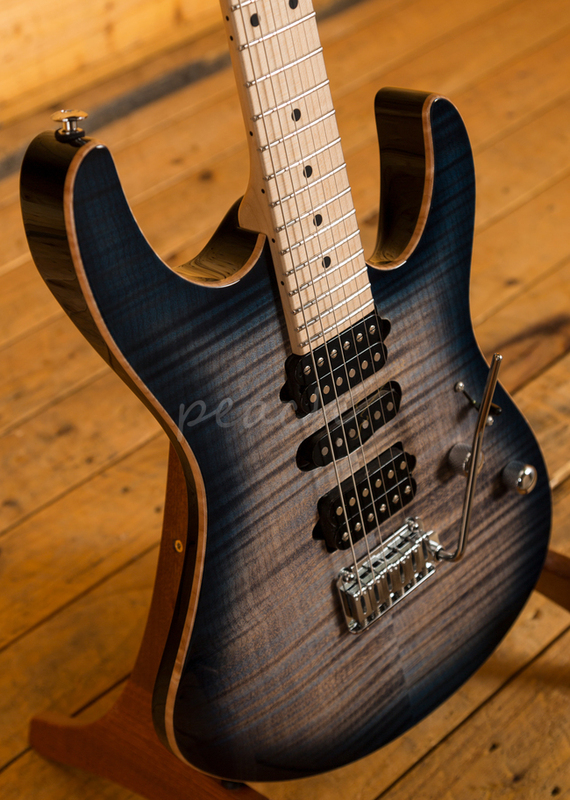 Suhr have finished it in Faded Trans Whale Blue Burst and utilised arm, hand and tummy contours for a really comfortable playing experience. 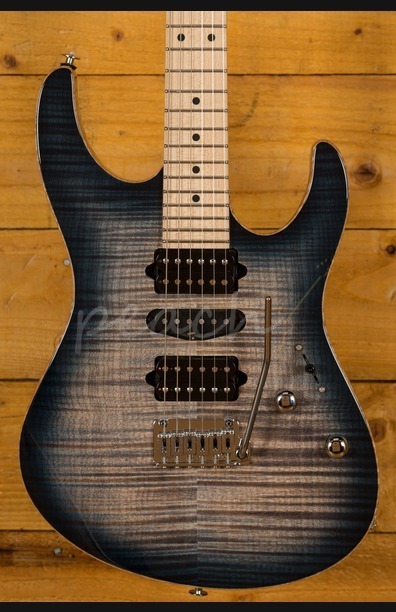 The Modern Pro is equipped with Suhr's Modern Elliptical neck profile with rolled edges and a 10"- 14" fingerboard radius it offers an extremely comfortable shape. 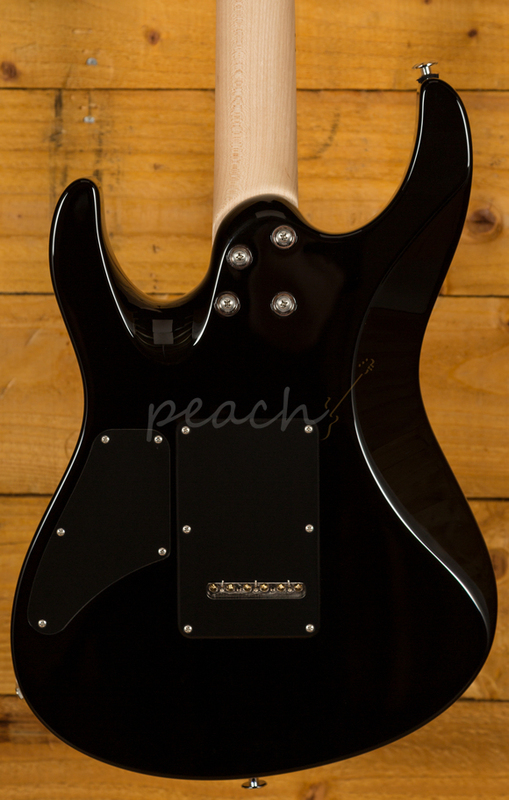 The Maple neck is finished in satin, which provides the smooth feel of natural wood as well as protection from moisture. 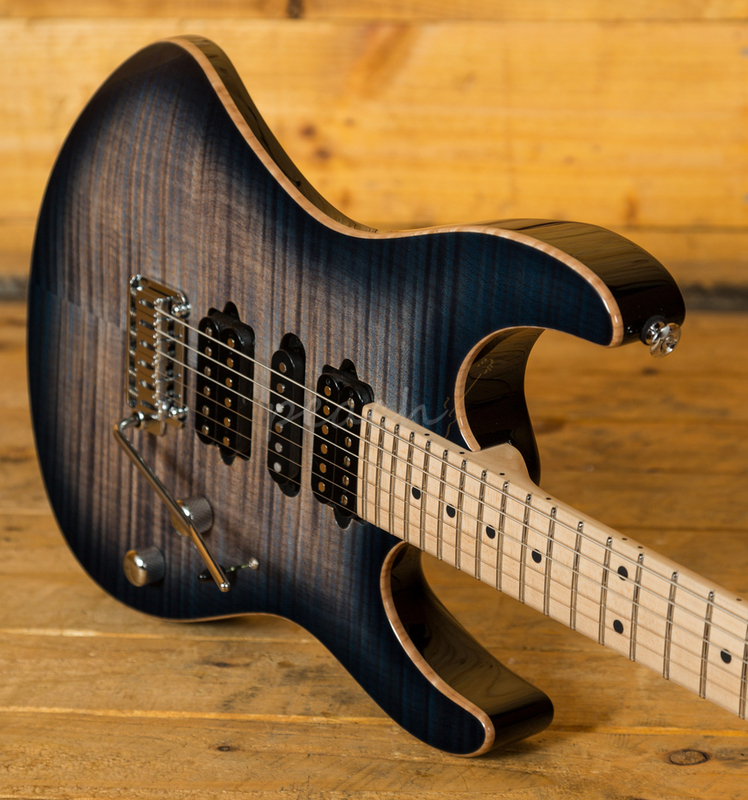 The 24 Jumbo stainless steel frets offer great string bending potential and long lasting playability while the sculpted heel allows for great access right up the neck. 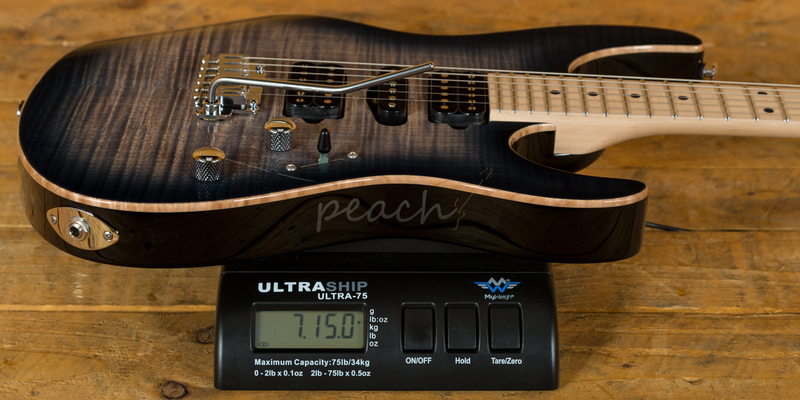 With the powerhouse pickup HSH combo, this guitar delivers monster tonal options. 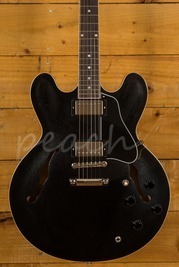 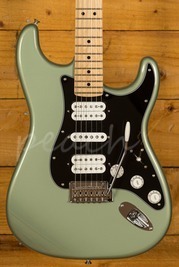 With an SSV Neck humbucker and an SSH+ either side of an ML single coil, this guitar is really versatile. 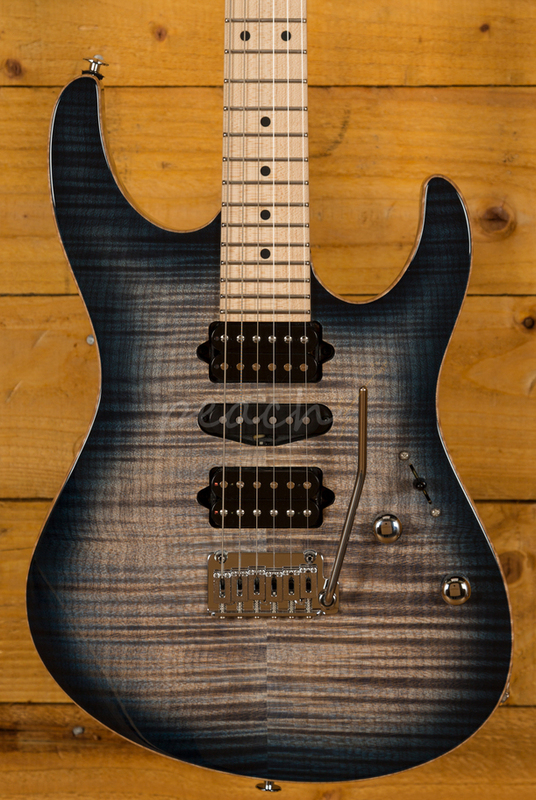 Tuning stability comes from a cracking Gotoh 510 tremolo, it offers improved performance and reliability. 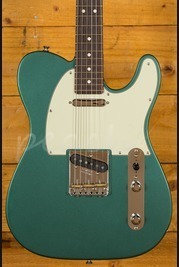 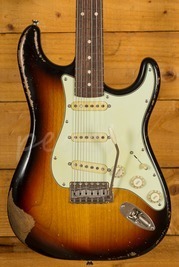 Vintage styling but with all the playability of a modern day Suhr, this is one serious guitar!